Just as quantitative easing by the U.S. Federal Reserve has inadvertently increased the country’s wealth gap, so should tapering limit its rise. Under the central bank’s program of pumping money into the economy, purchases of financial assets have enriched the 10 percent of Americans who hold four-fifths of the country’s stocks and bonds. With the Fed’s liquidity being withdrawn, the whole effect should be more muted. And absent such underpinning for equities, corporate executives will be much more likely to invest to improve returns. This should involve more hiring and a better outlook for those outside the top decile. Since the start of QE, the price investors were prepared to pay for corporate earnings rose from very low levels during the financial crisis to fair levels today. As the Fed slowly withdraws, earnings growth, rather than the price paid for those earnings, should be the main driver of stock returns. With profits likely to increase at a higher single-digit rate, stocks should rise at the same rate as well. The big returns of 2013, and their huge effect on the net worth of the wealthy, are unlikely to repeat in the near term. If the outlook for the wealthy moderates, forecasts for those in the lower echelons of income should improve as prospects for private-sector employment pick up. Until the Fed taper began, all else being equal, the average U.S. company could rely on easy monetary policy to push up its share price. Now that the Fed is due to end quantitative easing and move closer to raising interest rates, U.S. companies will have to embark on capital expenditures and job-creating investments to boost their returns. Ironically, tighter Fed policy may do more to boost employment and hence equality than the ultra-loose regime that has preceded it. U.S. companies have plenty of money to put to work. Non-financial corporations hold more than 10 percent of GDP in cash, close to an all-time high. Yet net investment is running at just 4 percent of GDP, from levels almost double that at the turn of the millennium. With public investment recently seen at its lowest percentage of output since 1947, the government is scarcely crowding out private capital. As the U.S. recovery continues, there is ample room for companies to move money out of deposit accounts, where interest rates remain ultra-low, and invest it in job-creating projects with a higher yield. For those outside the top decile seeking employment, or the prospect of better jobs, such investment would provide a much-needed boost. When deploying their spare cash, U.S. companies have a number of alternatives to job-creating investment, including share buybacks and mergers. The attractiveness of both of those options is waning, however, as equity markets break new highs. On a net basis, for example, companies in the S&P 500 Index already bought back shares worth 2.1 percent of their market value in 2012 and 2.3 percent in 2013. Corporations have admittedly been spending more on M&A; activity was up 5 percent last year, according to Dealogic, and the prospects in sectors like pharmaceuticals have proved significant in 2014. Unless an acquisition unlocks significant synergies between companies, however, corporate stock is not as cheap an investment as it used to be. Hiring workers to exploit open investment opportunities will often prove more profitable. Overall, far from dampening the U.S. recovery, the end of QE should support it. It should also leave the bottom 90 percent less dependent on trickle-down economics. Former U.S. President Ronald Reagan, the most notable proponent of such policies, said the most terrifying words in the English language were “I’m from the government, and I’m here to help.” Had the nation’s central bank failed to signal a shift away from ultra-loose monetary policy, some may have started to feel similarly about the Fed. When it sees the likely benefits for equality and jobs, the United States should start to appreciate tighter monetary policy, not fear it. 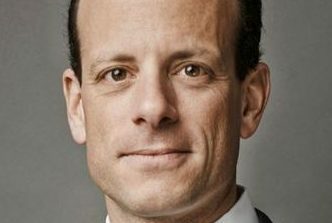 Alexander Friedman is the global chief investment officer at UBS Wealth Management. Handout. Alexander Friedman is the global chief investment officer at UBS Wealth Management and Kiran Ganesh is a cross-asset strategist at UBS Wealth Management.